While avidly on the smartphone herself, within that 6-year gap between them, games and online services have changed significantly. Where online engagements are concerned, nearly a generation has evolved from the time my daughter was introduced to it to when my son similarly was! The unprecedented rate of change in society is leaving the church behind in its wake. I believe the social and entertainment platforms go through a generation of evolution almost once every 8-12 years. Revolutions that occur in a country are known within hours, spread through social media. An unpleasant incident on the roads is put on online platforms that very evening, garnering opinions in the hundreds within a few hours. This is a testament to the environment facilitating increased rates of change in all areas of society. I knew a young pastor in his 20s who lamented that he already found the teens he is currently shepherding to be so different from his own upbringing. His generation was told to just follow and “go with the flow and you will learn along the way”, while the youths now are much more critical, wanting to know the “why and how” before they embarked on anything! Differences in just 10 years result in a generation of completely different mindsets! The church, invested in helping the needy, encouraging long-term life-change issues, working with busy volunteers, has not been positioned nor resourced well to respond to new people-needs and challenges that come with the rapid change. This is just a partial list of social changes and implications which I wrote 5 years back, which I believe is already dated! Those above 40 today may not fully understand and identify with these examples of exposure. It simply was not their social nor educational norm. Consequently, most leaders above 40 may find it difficult to build church ministries that embody the above needs at its core. This is also a natural thing as I believe God raises people with appropriate experience and wiring for their own generation, as He did for David. David was called to establish Israel as a nation, but not to build a Worship-Centre for God. I believe that the best person to lead a church into relevance for a generation is a leader from that very generation who is committed to make an impact for Christ for his/her generation! What then can the church do to stay relevant and impactful for every generation? There are no quick-fixes nor easy answers to this generation-spanning question, but rather it requires investments in certain directions. 1. For everyone: Hold to the belief that there are good things in every generation that must be embraced and embedded in a healthy church. In meeting a group of young leaders, I heard a common mantra repeated: “the gospel must not change, but its forms must always change to be relevant. There are things that should be retained as a core principle, though expressions and new forms must be developed to be relevant. There are good “old things” and good “new things” and we must learn to embrace both whole-heartedly if the Kingdom of Heaven is our goal. If a familiar way of ministry is our sole goal, or the newest move of God is our sole goal, we will never build a house of God. The top-most leaders of the church need to look for promising people with passion 15 to 20 years younger, begin to disciple them and invest in them. I know this is so commonly said that it’s almost a cliché, but it’s easier said than done. There are a few challenges that need to be surmounted in order to do this, but if it’s not done, the church may not have a future! Identifying and mentor passionate AND healthy young leaders with a HOLISTIC view for God’s church I’ve seen young, passionate and gifted people invited to leadership who have made astounding differences in their service! However, as they go through challenges they have fallen along the way, get disillusioned and even distanced themselves or leave church. On the surface level, what they may have lacked from older leaders are proper guidance, mentoring and protection from hard knocks from older leaders. However, within themselves, they may lack a secure sense of self or a good spiritual parenting in their upbringing. These have left a gap in their hearts which they have not been able to fill, which becomes marked when going through difficult times. For raising young leaders for the long-term it is essential to mentor people who have a certain degree of emotional and spiritual health with a holistic view of spiritual community and God’s purposes! Giving younger leaders the opportunities to make mistakes and face possible failure Young leaders who are serious about making a difference inevitably reach a point where they have to decide if they are able to transform their church to reach their generation. If they feel that this church “would never change sufficiently”, they would find either learn to live with it and moderate their passion, or they would go all out for their passion and may embark on a search for it elsewhere. It would be sad if young leaders remain in the church only because they moderated their passion rather than developed it fully! A young leader who grew up in the church and became a pastor there, once remarked that she would give her leadership in the church a few more years to discern if she can fulfil the vision of her ministry there before considering seeking a pastorate elsewhere. Older leaders need to give younger leaders opportunities to carve out a vision of the church for the next generation. 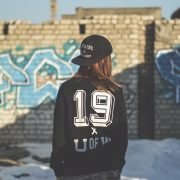 While allowing space for them to carve out new forms of ministry, make mistakes and even fail, it is possible these new and experimental “arenas of ministry” may serve as parts of the present church to reach next generation people and could even grow to become the de-facto ministries in the future! Influencing the older members to support the younger leaders When new, never-seen-before ministries arise from the younger generation, changes in tradition and styles may cause consternation amongst older members. Leaders need to persuade older members to invest in the success of these new-leader-led ministries. They need to win the older members to giving new initiatives a chance, and to invest in these their “spiritual children”. It is important for the church to reach a point where the older members genuinely love, support and want to see their younger leaders mature, succeed, and try new things for their younger generation. A mere “let’s see what they can do, we will tolerate it for a while” mindset will not give the younger generation a “home where old and new treasures are found” (Matthew 13:52). Inevitably young leaders may feel a sense of fatherlessness in their own church and seek to find a father and a home elsewhere. Older leaders need to disciple older members to have a genuine heart for the younger. Some may even have difficulty accepting generational changes from their own biological children, and in this regard, this could be a discipleship-growth for these older members. This may be a discipleship that have to reach into homes and families. Courageously accept leadership within the church and make a difference. If God opens the door, rise and lead the church to reach your generation as best as you can! Though sometimes you may doubt if this church will evolve sufficiently to engage the current landscape, that’s when courage and faith is needed! The church needs to keep changing to engage the changing current generation, and you play a part in helping segments of the church grow in this. As they do, I believe they will have generous and open hearts for the next generation—that’s discipleship! All of us need to grow in discipleship, even our “uncles and aunties”. Appeal to them to grow with you and your generation! Develop platforms that allow for the older leaders to guide you when you take-point. If God puts you into key leadership roles, eg. become the new Senior Pastor or key Board Leader, find ways to allow godly, older people to continually speak into your leadership even as you helm it. DON’T relegate older people to a peripheral or mere-advisory role. Allow their concerns and wisdom to guide policies in your leadership. The world needs a church that is this-generation-need-focused, yet time-tested-principle-founded. There will come a time when change happens so fast that core-principles will be the much-needed cry upon people’s hearts! A church I know has established councils of older people, selected for their godliness, their heart for younger leaders, yet of sound principles. While usually advisory, when the vote in that council is called upon and unanimous, it becomes binding on certain issues. These are carefully thought-out and creative ways to engage older, wiser and godly leaders to continue to speak into the new generation of leadership! There is no need to be locked in to old forms. We can evolve new structures and patterns for embodying core principles and new engagement that are important to us. So, how can a church be relevant to our world today? The answer is already in our hands! We need to steward the passion of the young, guiding with the wisdom of the old. More than just a cliché, we need to make investments of heart in these directions: drawing out those who are passionate and healthy, structure new governance, persuading the older generation—leaning consistently in these directions over time to raise an integrated and passionate new generation of leaders. Spanning the generations, we can build a church focused on today, yet founded on the time-tested, a church that is relevant to the landscape, built by Jesus Christ that the gates of hell will not prevail against! https://www.churchlife-resources.org/wp-content/uploads/2018/11/Photo-by-Louis-Moncouyoux-on-Unsplash-e1543243180966.jpg 1267 2005 webmaster http://www.churchlife-resources.org/wp-content/uploads/2018/02/Logo.jpg webmaster2018-11-26 15:12:132019-04-03 16:37:18Is The Church Still Relevant Today? How Strong is the ‘Evangelism Muscle’ of your Church? “Can it lift more than 80kg in a single feat? With impending Celebration of Hope (COH) coming in May 2019, there comes a huge event that promises to transform spiritual atmosphere over our nation and win many to Christ! That excitingly huge, one – time event is one we should all leverage for reaching our unsaved loved ones! 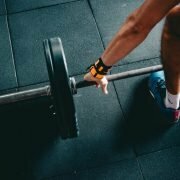 However, I submit to you that it would even be better to leverage COH to build up the “muscle of evangelistic strength” of your church/ ministry for the mid – long term so that your muscles are strong, well – toned and healthy to sustain witnessing and evangelism in daily life long even after COH. The key is consistently training for the event while progressively building up key-blocks of evangelism health. These are vitally important strategies to build up muscle for the event. I believe COH will provide a number of these much-needed opportunities for these in due course! Training for the event, as well as building up these health blocks will lend to a higher quotient of evangelism lifestyle for the long-term. To benefit maximally, you should consider bringing these 2 approaches together in some way in the coming season as we prepare for COH in the coming year. I submit to you that a low outreach-quotient today is not due to a lack of desire to share the gospel and win people, but rather due to a fear of rejection, a fear of not meeting the deep needs or speaking to the hearts of people they share with. If we want to help our people to sustain a natural, witnessing lifestyle, we need to identify their “gaps” and help fill it. 1. HEART – our fear of rejection. This needs to be addressed by understanding that the Holy Spirit is the initiator and our role is one of followership to God’s prompting. Our deep, heart-felt belief in this enables us to put our trust in following God’s leading. 2. SKILL – our lack of knowledge in leveraging our own God-given style. Poor outreach quotient is sometimes exacerbated by being forced into styles of outreach which are unnatural to us. I know someone who was petrified when asked to share the gospel on the street. He often panicked and felt so bad after such a session. Over time, he discovered what came more naturally to him: discussing questions about Christianity. He rejoiced in seeing salvations through his discussion-talks! I believe God has given all of us an Outreach Style comprising of our: personal testimonies, the way we emphasize aspects of the gospel, the roles we prefer to play in an outreach event, the way we bring value-based conversations into our friendships. When we discover and enhance them, we become a unique and Spirit-anointed witness, the way God meant for us to be! I like the God’s Word Translation that emphasizes how we are witnesses to testify about Jesus. Our testimony about how Jesus ministers to our life-situations is personal and unique to us! 3. DISCERNMENT – our compassion for the needs in the lives of our pre-believing loved ones. Compassion for needs was a powerful driving and sustaining force for evangelism in Jesus, and it is, too, for us. We need to teach our ministry members to discern how far / close to Christ their loved ones are on their journey, how to bring them along that journey, and what are the deep needs / blocks in their lives that our members can address. People don’t usually “jump” to Christ if they are a far-distance from salvation due to blocks in their hearts. We need to encourage our members to persevere in helping their loved ones move on the journey toward Christ and have compassion for their blocks / needs in their hearts. Encouragement makes a significant difference in helping our ministry members sustain an outreach lifestyle. It can be discouraging when our loved ones don’t respond to or reject us when we reach out with the gospel. We need the “spurring by others” not to give up, to keep hoping and praying for that breakthrough in our pre-believing loved ones! For most churches and ministries, such a community is often found in the Cell-Group / Life-Group or equivalent. This is a precious community that is involved in each other’s lives. Such a community, when well mobilized, provides an accountability and encouragement for your ministry member to persevere in outreach. Reminding the group to pray with and for one another’s pre-believing loved ones. Equipping them to reach out to their CG networks by hosting CG-based events that engage the needs of the pre-believing loved ones. Positioning them to host and welcome member’s pre-believing loved ones when they visit the CG, the Weekend Service or special event. Sustaining the above can be a lot of work! This requires thought on how to mobilize a Core rather than just assume the CG leader can take all responsibility for it. However, when the core and CG is mobilized, a significant core of the church is engaged in sustaining an outreaching lifestyle through encouragement and loving accountability! It is frustrating to have shared the gospel or reached out to a friend, yet that pre-believing friend turns you down again and again. Ministering to that loved-one’s heart requires prayer as well as specialized giftedness that could speak into that need. The pre-believing loved one may have blocks such as past bad experiences with religious people, family-marriage-parenting struggles, cognitive questions about God and suffering—a whole plethora of possible issues. The church needs to bring in specialized gifts to support the outreach efforts of our members. However, this requires the church and ministry programs to be generally oriented to inviting newcomers and hosting seekers. This requires an outward-orientation of the present existing platforms of the church. Having great evangelists at the coming Celebration of Hope (May 2019)! This requires planning for such events and helping members leverage them for reaching their pre-believing loved ones. No matter how persevering our members are, the lack of experiencing a break-through in reaching their loved-one’s year on year will discourage them all the more as time goes by. The church can help by bringing these specialized gifts in the hope of “changing the game” and giving a breakthrough in the outreach life of our members! It gets discouraging and lonely when we face our pre-believing loved ones year after year with little result. Yet, it is that same journey of believing, hoping and winning that truly captures God’s heart! Your loved one may not be saved through today’s or this year’s outreach, but maybe next year… maybe the next outreach… maybe that next seasons is the one God would deem it the right time and prepare their hearts to receive Him. we need that specialized gift—that is the toned and trained muscle that sustains outreach through the ups and downs of a lifestyle of evangelism and witness. So, how strong is your outreach-muscle? Together in tandem, they will go a long way in building up the long-term muscle of the church! https://www.churchlife-resources.org/wp-content/uploads/2018/10/victor-freitas-546968-unsplash.jpg 3298 4947 webmaster http://www.churchlife-resources.org/wp-content/uploads/2018/02/Logo.jpg webmaster2018-10-03 16:06:562019-03-21 01:47:13How Strong is the 'Evangelism Muscle' of your Church? How can we address leadership conflict within the church? Jensen has been feeling disturbed for several months. He entered with much enthusiasm to serve in the church board, but has met with a very unpleasant observation: there have been several occasions when 2 board members raised their voices strongly over disagreements! This has recurred several times over the last 7-9 months. Repeated conflict affects the enthusiasm and morale of a church, and may impede positive change from taking place, ‘pulling back’ on church growth. Such conflicts may erupt at the most inopportune time to distract or derail efforts for evangelism, teaching or discipleship…because at the root of this lack of unity is an element of spiritual warfare. We all understand that leaders desire good for the church and do not set out to disagree with each other. 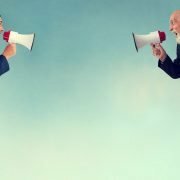 However, intense disagreements are familiar to many churches. A desire for a more “plural” or “consensual” leadership may result in a lack of clarity over how to break deadlocks in light of opposing views and to who has the final say. By far, this is the most common problem leading to conflict in churches I have observed. There are various modes of church governance, each with their strengths and weaknesses. However, leaders in each church need to have a common understanding and whole-hearted acceptance of the authority structure in place. Without this, it is common that during stressful situations, different parties have different preferences regarding who should have more authority, which leads to confusion and conflict. Different personalities, strong emotions and painful personal histories are elements that may result in unhealthy ways of conflict resolution. During conflict, these serve to deteriorate relationships while leaving core issues unresolved. It is important to educate leaders regarding the profound impact their behaviour has on the morale of God’s church. Members take their cue on spiritual passion from how their leaders model and carry themselves. Many leaders forget the onus of this leadership dynamic during conflict. A poignant reminder of the impact of leadership behaviour will go a long way for the Holy Spirit to convict them to change. Conflicts may recur even after they are resolved and despite genuine forgiveness. However, if there are key-people who remind the leadership of the importance of unity and the new patterns of relationship, there is a hope that such conflicts will significantly reduce and a greater energy of serving God will flow through the board. What other factors have contributed to the ‘walls’ built in your church? What has your church done to navigate this ‘pull -back’ effect? Share your thoughts with us, and let me know if this post has helped you! We will be blessing 5 readers of the blog with Ps Philip’s upcoming book, so leave a comment below and we will be in touch with you! 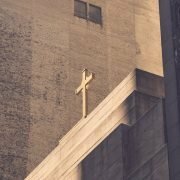 Previous Post – Chapter 4: Are we still keeping people out of church? 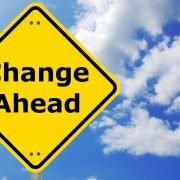 Next Post – Conclusion: How can a church “change it’s spots”? As a newcomer, John sat amongst the small group members listening to their Bible Study discussion. The conversation and friendly banter centered around the experiences they shared together in the past. While John was happy that the group had deep relationships, he felt a little left out as he could not identify with their shared, past memories. In the many churches I’ve connected with, this is a common phenomenon: some groups are very familiar with one another and there is little effort made to genuinely connect and bond deeply with newcomers. As a result, newcomers may feel welcomed initially, but eventually still feel excluded from these well-established relationships. Unfortunately, this works against growth and such a church, while having deep relationships, may become a “church with walls” to newcomers. What Erects these ‘Walls’ in Church? Most of us would rather maintain a comfortable community of stable, mature and familiar friends who encourage one another. There is great inertia in welcoming new people into our friendship groups. It almost seems like “starting over” in relationships. People’s lives are already full, with church activities, family commitments and work expectations . There is very little emotional bandwidth to care for someone new. Caring is perceived as yet another task rather than a genuine desire to reach out. Members receive a clarion call to reach out through 1-2 activities a year like Christmas and Easter. However, the rest of church-life is un-geared toward reaching pre-believers. For example, the church may hold on to certain traditions (e.g. liturgies, cell group structures etc.) that a newcomer find difficult to understand and appreciate naturally. When a leader seeks to encourage the church to reach out to new people, these patterns tend to “pull-back” on such initiatives and require an entire culture-shift! How to break down the ‘walls’? Breaking the walls require a significant change to lifestyle, family routines and stepping out of comfort zones. It requires time, patience and a move of the Holy Spirit to convict people! Showcase to your members that outreach can work and is sustainable. Aim for a small, successful outreach effort (e.g. 1 Alpha group) and share the statistics and observable impact. Such efforts speak to the mind. To engage the heart, share testimonies of members who tried reaching out beyond their comfort zone and how it changed their lives. What are the main gaps that your congregation faces in outreach? For example, it could be not knowing how to share the gospel or how to transit conversations into spiritual things in a natural way. Whatever it is, training, encouraging and assuring people will empower them to take the steps of faith! Most people need a supportive community and resources to sustain an outreach lifestyle. Hence, linking multiple events (big and small) together to build momentum and outward-orientation is better for sustaining an outreach lifestyle than one-off outreach events. True outreach comes from a changed culture and social dynamic to be inclusive rather than exclusive. Despite the differences in thinking, culture and social behavior between Jews and Gentiles, the purpose and power of Christ moved those rooted in Him to overcome the walls of culture. May his Purpose & Power move us to overcome the differences in culture, thinking, and social behavior to reach people in the community–to be a church without walls! Previous Post – Chapter 3: Are we too busy to care? Next Post – Chapter 5: Do Your Church Leaders Face-off?